A poor trail camera could lead to disaster; imagine trekking out to the wilderness where you stashed your camera, only to find that the last three months of footage are useless due to a cracked casing or dead battery. You might discover that you don’t have enough storage space for all of your pictures, making the last leg of the season all for naught. Or, worse, you might have captured the first sighting of a rare animal, but the image quality was so bad that you can’t be sure! These are the reasons why picking the right trail camera is so important. These are cameras designed to be used for months on end without human intervention during that time. You need to get the choice right before you set the camera up, since you won’t be there to fix it if things go wrong. Luckily, I can help point you in the right direction; I’ll discuss 10 of the best trail cameras on the market, along with their pros, cons, and specializations. I’ll also explain how to look for great trail cameras and what to focus on for your individual needs. There are a few very important things to look for when you’re choosing a good trail camera. These aspects are trigger time, or reaction time, range, and image quality. Battery life is also important, but this doesn’t vary much between trail cameras, as they all reach a standard threshold of about 8 months of use between charges. Reaction time is critical because faster times allow the cameras to monitor or snap pictures of faster-moving animals or objects. Range is also important, as that directly measures how far something can be from the camera before it registers motion. The farther the range, the more distance the camera can realize it should be taking pictures of something. Image quality matters because blurry images are often just as useless as no image at all. 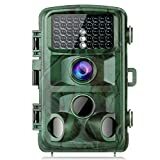 Here’s a list of all the cameras I’ve reviewed, along with their Amazon links, which have good trail camera reviews, too. Each of these cameras meets a bare minimum of viability for the majority of trail camera users. They all take pictures over several months, they’re all waterproof, and they all have reaction time of half a second or less. You’ll see what makes each of them unique and worthy of consideration with the more detailed reviews below. I looked for cameras that went above mere functionality and provided exceptional quality in at least one area. Keep in mind that while all of these cameras are suited for the basic job, some are more qualified for specific expeditions than others. For instance, there are cameras that are better for watching wildlife, while others are better used to film a plant that grows and changes over the course of a year. A few are top picks for harsh weather. You’ll learn what each brings to the table and an explanation about the things to watch for afterward. Let’s dig into the specifics of these top-rated trail cameras. The Baberdicy Trail Camera is a great piece of tech for long hunts or when you need to monitor a trail for a long period of time. The low power consumption of this camera ensures that it’ll remain at the ready even if you have to leave it by itself for a few days. It does run on 28 LEDs, so you’ll want to check all the bulbs each time you take the camera out into the wilderness, as even a single bulb failing can cause a cascading effect and limit the entire device. The Baberdicy Trail Camera is doubly useful for long watching periods thanks to its waterproof casing. It’s not very tough compared to some of the other cameras on our list, but where it falters on blunt strength it makes up for with watertight seals. The camera’s inner electronics won’t be disturbed by inclement weather, making this a great pick for winter or springtime picture snapping. Speaking of pictures, the Baberdicy Trail Camera has the fastest reaction time on our list, clocking in at 0.2 seconds. This lightning-fast speed takes 3 photos in that short window; small, skittering creatures will be captured in motion and in crystal-clear detail thanks to the 12-megapixel quality. Overall, there aren’t very many other cameras that deliver this kind of reaction speed along with great image detail. There are 3 modes for recording, too: picture, video, and both combined. The video settings include sound. The Baberdicy Trail Camera is very easy to set up, and it runs on common AA batteries that can be purchased from any normal store. This is a phenomenal camera that’s as affordable as it is user friendly; the above features earn it a top spot on our list. The TOGUARD 14MP Trail Camera devotes a lot of functionality and power to its camera. The picture aspect of the camera is quite good, capturing images at 14-megapixel quality to ensure that everything it snaps will be crystal clear. The reaction time for these images is alright, clocking in at 0.5 seconds. You’ll find other cameras that are both faster and slower in this regard. Where it shines is with video capture. The recorder can take video in HD 1080p quality; this is the kind of excellent, smooth video that you can find in camcorders or devices that are created solely for video capture. The video is in full color during the day and switches to night vision automatically—an excellent feature for user-friendliness. The night vision can see up to 22 meters away. This is enough to satisfy any hunter or tracker of game. The TOGUARD 14MP Trail Camera is waterproof and dustproof, and the sturdy casing makes sure that nothing vulnerable inside will be damaged from outside falls or inclement weather. The camera has a standby mode of 8 months; this is such a cool feature that I wish other cameras included it, as it allows you to record rare or skittish game or animals that only come once in a while. Overall, the TOGUARD 14MP Trail Camera is an ideal camera for those trying to study scarce wildlife or who need a camera to last for a long time without being disturbed. The batteries do drain somewhat quickly if it’s taking a lot of video, but so long as the standby mode is working properly this shouldn’t be much of a deal breaker. 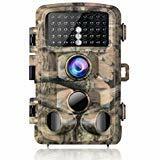 The Nulliplex 16MP Trail Camera is another great choice for hunters or trackers who need to watch for game or rare animals over long periods of time. Its one real flaw is that the casing isn’t as tough as some of the other cameras I’m reviewing, but it is waterproof. It’s just that if it falls from a tree it might sustain some damage. The camera has the best image quality I’ve seen so far at 16 megapixels. This allows for such crisp image capture that it’ll rival some of the best photos seen in National Geographic magazines. 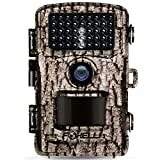 The Nulliplex 16MP Trail Camera is an ideal camera, with a 120-degree viewing angle, for capturing images of small animals or critters that like to appear at night. It can take photos and video at night, too, up to 22 meters away in black and white. Each time the motion sensors trigger, the camera takes 3 images in rapid succession without sacrificing any quality in the process. The video quality is, of course, in HD 1080p. The average reaction time of this camera limits its overall application, but the high quality of the pictures it can capture helps negate this somewhat. This makes this camera pretty well-suited to capturing crisp images of slower-moving animals or plants that evolve over the months. Furthermore, the Nulliplex 16MP Trail Camera comes with a number of interesting settings that you can tweak to further your unique goals. You can set the video, upon playback, to run on a time-lapse system to skim past a lot of the boring day-to-day footage your camera might have captured. You can set the camera up for a timer; this is great for capturing the daily progress of a plant or nest, seeing how each might change over time. Of course, this camera runs really well in terms of energy conservation, too; you can safely let it run for 8 months without having to worry about the batteries running out. The Campark 14MP Trail Camera is a collection of some of the best traits I’ve seen so far in an affordable casing that, unfortunately, is a little too brittle. It’s waterproof but is really meant to be placed on a tripod, evidenced by the tripod port that can be found at the bottom of the camera chassis. 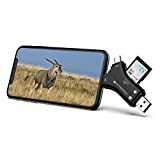 The camera boasts 14-megapixel image quality; this is middle of the road in terms of overall crispness, although it’s higher than some of the cameras on our list. Its video is HD and can record sound. These image modes, of which there are two, can switch to night vision automatically and can be tuned for time-lapse modes or timer shots, the possible uses of which I discussed in the previous camera review. The Campark 14MP Trail Camera is very long lasting, and its batteries don’t drain very quickly. It can last for 8 months without a recharge. The biggest draw for this camera over the others is the large number of Low Glow LED lights, of which it has 42 unique pieces. The quality of these LED lights is amazing; other cameras have around the same amount, but these bulbs are built for long use and repeated picture taking over months at a time. 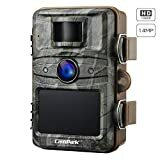 What these do is enable the Campark 14MP Trail Camera to take excellent photographs in any light setting: cloudy, foggy, nighttime, or any other. Weather condition is irrelevant when it has that many bulbs ready to flash as soon as motion is detected by the infrared camera. These bulbs make it a great choice for nighttime watching or picture-taking, or for hunters who live in climates and wildlife zones where the sunlight is not always ideal. The Wosports Trail Camera is built for those who are going to take a lot of photos, such as people taking time-lapse projects like observing plant life over time and needing to store them for retrieval later. To that end, this camera supports SD card storage, so you can quickly transfer everything it’s captured to your computer or another camera. This functionality is simple, easy, and user friendly. If you don’t have an SD card handy, the camera can store up to 17,000 unique images by itself. It’s waterproof and built inside a tough casing that won’t bust easily from inclement weather or fall damage. Its camera is just as durable and designed to take images both day or night, with color and black-and-white pictures, respectively. However, the picture quality of the Wosports Trail Camera isn’t as high as some other cameras, at only 12 megapixels. This is an unfortunate downside, but the fact that each image isn’t as detailed as, say, 16 megapixels allows the camera to store more images by itself. It’s a tradeoff—image quality for picture storage space. That being said, the Wosports Trail Camera does have a very fast reaction time, clocking in at 0.3 seconds. It takes three photos in this time period; that’s the second-fastest time on our list. The video camera suffers from no such limitations and records at HD 1080p quality. The Wosports Trail Camera also has a series of great modes, such as time-lapse or time-shot modes, that further cement its role as a camera that’s best used for taking a lot of pictures over a short amount of time. While it can be used for anything that you might need a trail camera for, it’s really designed to service folks who need to collect as much data about a specific subject as possible, such as scientists or wildlife conservationists. The FHDCAM Trail Camera’s biggest draw is the large assortment of amazing extra features that come with the purchase. It’s a great camera for people who need an all-purpose device that can fulfill a lot of different functions without specializing too specifically in one area. Let’s start with the basics. The camera has a pretty average range and captures photos at an underwhelming 12 megapixels. This isn’t a huge deal breaker, but it does mean that anyone looking for sharper images is going to want to move on. The video camera can record in HD quality, though, and its night vision capabilities are particularly good; it can see up to 22 meters away in darkness, and the night vision photos and videos recorded by this camera are a little better than many other competitors. Now I’ll explain the extras. For starters, the FHDCAM Trail Camera comes with an easy-mount strap that makes placing the camera in a tree or on a wall very simple and easy. It also comes with a bunch of different recording modes, such as time-lapse or time-shot modes. It allows for real-time replay, so you can record something and watch it immediately afterward without having to transfer the video from the camera to a computer or another device. Furthermore, the FHDCAM Trail Camera has password protection to ensure that your footage and images aren’t viewed by anyone else, such as other hunters in the woods. A hybrid mode lets you record video and take pictures at the same time. As you can see, this camera does a lot of things right which make up for the mediocre initial image quality. It’s a great all-around device suitable for generalists. Another user-friendly camera is the LongOu Trail Camera. It, like the previous model, comes with an easy-install strap that allows you to place this tough piece of machinery anywhere you like. You won’t need to worry about harming the camera, either; its casing is very tough, waterproof, and dustproof. It can survive long periods without maintenance in the wild or inclement weather without any problems. Furthermore, it can do this for 8 months without needing a recharge; the LongOu Trail Camera uses a standby mode when applicable to prevent wasting any battery life. Its camera is a bit average, with only 12-megapixel image quality. Its video recording capabilities are a bit better, recording in 1080p HD. The night vision is quite good, sacrificing a few feet for better rendering and capture. The outlines of objects will be a bit better here than in some other models. The LongOu Trail Camera also comes with a selection of great extra features, such as password protection and real-time replay. A photo stamp feature, used when viewing what’s been recorded from the back of the device, allows you to mark specific photos or places in a recording for later viewing and organization back at your home computer. The LongOu Trail Camera is a good, tough camera that’s exceptional at staying active despite weathering some hits. It’ll be a good pick for people who plan to take a camera into rough terrain or place it in trees where there’s a good chance that it might fall at some point during its expedition. The Browning Strike Force Trail Camera is best if you’re looking for security more than anything else. The devil is in the details. The picture quality offered here is only 10 megapixels, and the detection range is relatively average at 55 feet. So what sets this camera apart from the others? It’s built for toughness and security. For starters, its casing is waterproof and dustproof and is the toughest material of any camera on our list. That’s not all; it comes with a security box which seals your camera in another layer of armor that can only be unlocked by you. This is great for watching your property or if you’re setting up a camera in a frequently-trafficked area. The Browning Strike Force Trail Camera comes with a tree mount, easily set up and easy to take down. It keeps the camera stable and steady during its long deployment, even through rough winds or stormy weather. In addition, it comes with an extra, external battery pack that is drawn from first. This means the camera can last for much longer than several of its competitors and gives it some extra life if the primary battery fails for some reason, or if you forgot to charge it. The camera itself also provides exceptional night vision photography, wiping away blurriness and ambiguity and replacing them with clarity. The flash photography can reach quite far, ideal for capturing miscreants in the act during the dark of night. The Browning Strike Force Trail Camera will find great use if you need something to protect your property without risking it being taken down or knocked out by weather. 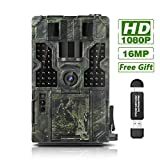 The Victure Trail Game Camera is a good choice if you live in a place that gets frequent storms. The casing is built to be ultra-secure against weather and the elements above all else; while it’ll protect the camera from damage if it falls, its primary duty is in keeping water, dust, and snow out of the delicate inner electronics. The camera’s casing will even protect the device from moderate freezing damage, provided it doesn’t last for too long. The camera’s reaction time is pretty forgettable at 0.5 seconds, but its image quality is quite good at 16 megapixels. The video recorder captures at HD quality, too, and takes sound alongside the footage. 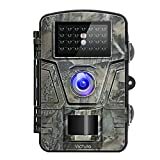 This works in day as well as night, and the Victure Trail Game Camera is programmed with a special sensor that detects when it’s time to switch between the modes without you needing to mess with any settings. There are other functions included in the camera, such as a password protector, time stamp features, and various recording modes like those for capturing pictures for a time-lapse project. In addition, this camera is rather unique in that it has settings for altering or adjusting the sensitivity of the infrared sensor. This is the primary feature that allows these kinds of cameras to capture movement in the blink of an eye. You can make this more or less sensitive if you’re targeting a specific kind of animal or phenomenon, rather than wasting battery and image space on bugs or birds that you’re not interested in. 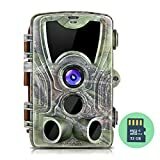 These above features make the Victure Trail Game Camera a good camera for tuning to a specific animal or event, regardless of the weather or time of year. It’s an ideal time-lapse and long-form study instrument. The FHDCAM Trail Scouting Camera is built for lightning-fast reaction times and watching from multiple angles. It comes with 3 infrared sensors looking in different directions right on the front of its waterproof casing. These allow it to survey a wider area than many competitors, as each sensor individually has 120-degree angles of detection. These sensors use the very quick 0.2s reaction time to snap photos or video faster than you could blink. However, the tradeoff is in the forgettable 12-megapixel image quality. This makes the FHDCAM Trail Scouting Camera great for taking a lot of pictures in a wide area while sacrificing a little bit of sharpness per image in the process. The video records in 1080p HD with sound and functions during the night, too. The night vision is very crisp if somewhat limited by the average range contributed by the camera’s lenses. The camera comes with a host of different modes, many of which I covered in reviews above. It also has password protection and real-time replay, as well as a hybrid mode that allows for pictures and video to be taken at the same time. The mounting strap that comes with the purchase is a bit of user-friendly design that I really like. Overall, the FHDCAM Trail Scouting Camera is good for catching action over a wide area, such as a field or over a particularly spread-out backyard. It’s tough enough to work with most conditions, and the image quality, while not amazing, isn’t bad enough to be a real deal breaker. Now that we’ve looked at the best trail cameras I could find, there are some factors you need to be aware of when selecting from the above list or finding your own perfect trail camera. Each of these factors that we’re going to get into plays a key role in the overall function of the camera or adds to its ultimate value in some way. You’re going for a bare minimum of quality. Good trail cameras are all going to be around the same price, so although there are cheaper and more expensive cameras, you don’t want to go too cheap and get something that breaks in the middle of the season. Trail cameras are supposed to be used for long periods of time, sometimes months on end, without user maintenance. You want something that will last and get the job done, so toughness and dependability are the names of the game before anything else. Furthermore, some of these features are better or worse, and it’s fine to focus on one or two features that are more important to you than the others. The main thing to avoid is dipping below a certain quality level. This is always below 1 second, as anything higher than that would be useless for detecting fast-moving animals, like small birds or certain types of snakes. All of the cameras on this list reach a bare minimum of 0.5s reaction time, or half a second. In my opinion, a reaction time of anything higher than this is not worth the money, and even 0.5 seconds is pushing it. The better cameras more suited to tracking quick game or motion have times around the 0.3- or 0.2-second range. These allow them to snap photos in quick succession of the smallest critters you can imagine, or even some insects. Aim for as low a reaction time as you can if getting small animals on camera is an important feature for your goals. Obviously, how well the picture looks, in the end, matters a lot. That being said, there is a tradeoff to consider, and it relates to another of the categories we’re going to discuss: storage space. You see, the more detailed the image, the more digital space it takes up. In essence, you can store fewer high-quality pictures or more low-quality pictures in a camera or SD card. This is something to keep in mind when you’re considering what you want to get out of an ideal trail camera. Image quality ranges from around 10 megapixels to over 16 megapixels. I like higher-quality images, personally, although this prevents me from storing as many photos as cameras that take 12-megapixel images. If you’re going to use a camera to take thousands of photos, perhaps for a time-lapse project where you watch the changing or shifting of a plant or place over months at a time, you’ll be forced to pick a camera with lesser image quality simply because of storage space. I should tell you, though, that 12 megapixels are plenty good for standard use. It’s not going to win awards, but you shouldn’t think that lower image quality necessarily means that the pictures are going to be blurry and indistinct. Whenever I talk about feet, I’m talking about how far the sensors can detect motion ahead. For instance, if a camera has a range of 45 feet, that means its sensors can notice and snap pictures of things moving up to 45 feet away. Obviously, pictures can take images of things further away, but only by accident. Longer range does not necessarily translate into better image quality; in fact, it’s often the reverse. The truth is that these qualities aren’t tied together very well, and a lot of it depends on the manufacturer and the type of lens they use. You’ll want to think about what kinds of things you’re trying to capture when considering the range of your ideal trail camera. Anything less than 30 feet is too short, in my opinion, to be of much use. Longer range is practically always better, especially if you can’t see any tradeoff in image quality, but it might be unnecessary depending on where you deploy your camera. If you’re watching a nest from a tree a few meters away, a high range isn’t really necessary, right? There’s no need to pay extra for something you won’t use. All of the cameras on our list and most trail cameras in the market have a night vision setting. This takes photos and videos in black and white, and some cameras offer better detail and crisper lines than others. The range for night vision capture can vary from camera to camera, as well. Many cameras have settings that automatically flip the recording mode to a night vision mode, but not all. Check to see if this is implemented in the camera you’re considering if you’re going to use yours in the wilderness for long periods of time without human interaction. These cameras need to be largely autonomous. However, if you’re going to have your camera somewhere nearby, you might be able to get away with having a camera without an automatic day/night mode switch. Video quality is just as important as picture quality, and it follows the same rules that I described above with image quality. 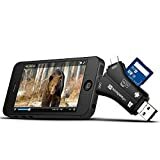 One extra aspect of the storage space that video takes up in your camera or SD card is that they usually have audio data, as well, bloating the overall space needed to transmit the file from place to place. Every one of the cameras on this list has HD video quality, although the exact number of pixels varies here and there. In general, you don’t want to dip below 1280p, as anything less than that will start to devolve into a blurry, indistinct mess that will be useless for any research, observational, or hunting purposes. The higher the pixel count, the better, and higher pixel count usually correlates with better audio quality, too. All trail cameras have memory cards that natively store what they capture. A few models have slots for external SD cards to allow for easy transfer from camera to computer. Check out the details on each camera to see how many pictures they can store if that’s something that’s going to be relevant to your pursuits. Like I said above, this matters more for scientific expeditions than hunting or monitoring jobs. Seeing how something can transform over time requires a lot of data, which translates into a lot of pictures, so a camera that can hold a lot of raw image data is a boon in this case. Of course, you can always get around this limitation by replacing the SD card every time you think it’s getting full, but that requires a trek out to wherever you stashed the camera. Think wisely about this condition. Trail cameras are designed to be used outdoors, and because of this, you’ll be hard-pressed to find one that isn’t waterproof at a bare minimum. This is critical, since water is lethal to the delicate electronics that can be found inside these cameras. Many others are also dustproof or “weatherproof”, which is marketing speak for tougher than generic waterproof sealing. A tough casing can also help with fall damage, as something like weather or bad luck can spell disaster for your camera, causing it to tumble from its perch. Some cameras have harder casing than others, and a few are rated for truly horrible weather, such as massive snow storms or very strong winds. This condition really depends on where you’ll be capturing your images. If you live in an area with a lot of rain or snow or storms of any kind, we’d recommend you find a model that has a tough exterior. Otherwise, you might find that you’ll be replacing your camera and shelling out more money sooner rather than later. Trail cameras are often used in the wilderness for monitoring or tracking wildlife, and as such, are placed in trees or atop mountains. Or, you might use them for monitoring your front or back yard and might place them up high for concealment-related reasons. Whatever the case, mounts or straps are a vital part of trail camera placement. Many cameras come with straps or mounts, but a few stray models here and there require you to purchase these pieces separately. Easy-install straps are a big feature that I really like, since setting up a camera should always be simple, in my opinion. They also make retrieving the camera later a lot easier. You can use the inclusion of straps or mounts to decide between two really close options if you’re having trouble deciding. Obviously, you’re supposed to “set and forget” trail cameras, leaving them operational or in sleep mode for months at a time. Therefore, it’s imperative that they have great batteries that will last for the entire planned duration. Otherwise, you might run into an issue when you retrieve your camera later and find that the entire second half of the season wasn’t recorded due to a lack of power! Most trail cameras are rated to last for around 8 months if their batteries are charged fully at the beginning of an expedition. Some are rated for a little more or less, but I wouldn’t get any camera that goes below 7 months of operation. There are a few cameras that have extra battery packs as contingencies for primary power failure or to extend the duration of a recording session for longer. This is a big selling point, in my eyes, since it directly relates to the primary use of trail cameras and makes the entire product better. Finally, there are various modes or settings that the vast majority of trail cameras come with. These include shooting modes or “time-lapse” modes that take pictures in quick succession to track movement or quick progress for later reviewing. There are some cameras that have extras like password protectors and time-stamp inclusions, letting the camera mark exactly where in the recorded footage interesting things occur. All of these types of features aren’t strictly necessary but add to the overall value of the product. I’d recommend getting a trail camera that has at least a few of these, but the more the better. Unless you’re absolutely certain that you’ll never use what’s advertised, having the option to switch between a time-lapse mode and regular mode isn’t going to hurt. Trail cameras are a rare kind of product in that getting the choice right the first time is critical. You need to be sure that you’ve got the right camera for the job in terms of all of its specs. That’s why I reviewed reaction time, image quality, battery life, casing toughness, and a host of other features. I also examined the fact that certain features necessitate tradeoffs; remember that higher image quality leads to less storage space, and vice versa! The truth is that all of these cameras are great products, but many of them are best for certain jobs or pursuits outdoors. You can’t just pick any trail camera; you might end up with a device that’s good for monitoring plants that does a poor job tracking the lightning-fast animal you’ve been trying to find! If you’re not sure what to pick, there are several great, all-around solid cameras that are easy to set up if you’re a beginner. 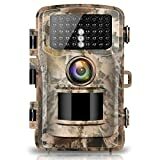 No matter what, each of the cameras above will be good enough to take pictures and outlast the weather.I hope this has explained how to find the best trail camera for your needs, as well as several examples of cameras suited to specific tasks. Knowledge is the key to both saving money and buying the best tools for whatever adventure you’ve got in mind. Have fun out there, and I hope you manage to capture something interesting!